George W. Meadows II, of Buffalo, a retired funeral director, died Monday in Buffalo General Medical Center after a short illness. He was 76. Born in Buffalo, the youngest of four children, he attended School 41 and was a graduate of Bishop Ryan High School. 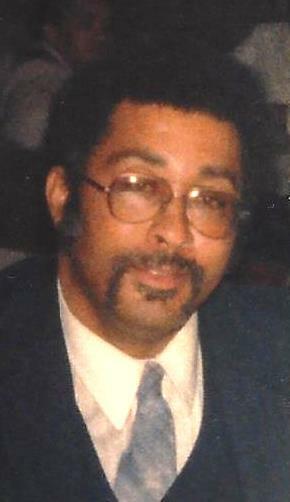 He earned a college degree, then graduated from the Simmons School of Mortuary Science in Syracuse in 1964 and joined his father, Huby Sr., and brother, Huby Jr., in Meadows Brothers Funeral Home. Founded by his father in 1936, the business had locations on Jefferson Avenue and East Utica Street. After his father died, Mr. Meadows became co-owner and co-manager with his brother from 1975 until 1992, when they closed the business. He also worked for 25 years at Roswell Park Cancer Institute as a nurse’s assistant, retiring in 2011. Known to all as “Sonny,” he joined God’s Temple of Grace Church in 2006 and became an ordained deacon. Survivors include his wife of 33 years, Vickie Adams-Meadows; three daughters, Sydney Ann, Shannon and Victoria; three sons, Patrick, Michael, Harshawn and Vernon; a sister, Dorothy Ann; 15 grandchildren and many great-grandchildren. Services will be at noon Saturday in God’s Temple of Grace Church, 42 Haven St.